Canada may have talent but, the Canadian Television Networks don’t seem to be able to air it or keep it. City TV’s latest talent contest, “Canada’s Got Talent” has been axed already after its one and only season this year. But, in rides Simon Cowell with his mega-bucks and big dreams for his X Factor empire expansion into Canada. Having been in Toronto Tuesday June 26, 2012 to promote his one season old hit series (American) X Factor show, a spin-off from the U.K. smashing success, Cowell postured to Canadian media that he thinks Canada is ready for its own version. “I don’t believe this attitude of we’re a smaller country, therefore we can’t compete with the U.K. or America. It’s nonsense,” Cowell stated and went on to say that he could find the “right broadcaster and team” to produce a successful Canadian branch or, he could incorporate Canadian talent into the American series. Cowell also said that he believes that with the right judging panel, television executives, and a format to fit Canadian tastes, it can be done and apparently, said he’d be willing to finance the Canadian show. Well, why the heck, not try? With his XF empire already in dozens of countries like, the U.S., Albania, Australia, Belgium, Bulgaria, Chile, China, Czech Republic, Denmark, France, Finland, Germany, Greece, Italy, Indonesia, Mexico, the Netherlands, Romania, Russia, Spain and the Ukraine, why shouldn’t Canada take a stab at it too? But, wait a minute here. If Canada can’t sustain shows like Canadian Idol, a spin-off of the extremely successful American Idol or, Canada’s Got Talent, a branch off from Britain’s Got Talent…what makes Cowell think that a Canadian chapter of X Factor could sustain itself? The idea also raises many questions in my mind and I’m not talking logistics. I’m talking about what can be read between the lines in what’s been said by Cowell, Canadians and by the Canadian talent shows, themselves. Does Canada really have enough talent to sustain a talent show of purely Canadian content? Do we have Canadian talent judges capable of keeping audiences entertained? Are Canadian Networks and broadcasters so inept at their jobs that Canadian talent shows are doomed to fail before they even begin? Do Canadians really want to come out of the closet as Americans? Is it only Simon Cowell that is capable of pulling these types of shows? And, what type of “format” is it exactly that Cowell thinks Canadians need? Perhaps, it’s Canadians who have it all wrong. Maybe, our only talent lays in our beer and moose hunting? Perhaps, we need to re-think our formats for television shows instead and have purely Canadian brands of entertainment such as, snow shoeing and dog sled competitions, eh? All joking aside, Cowell stated that Canada does have talent and rhymed off some great Canadian stars such as, Bieber, Drake, Carly Rae Jepsen, Alanis Morissette, Michael Buble, Shania Twain, Rufus Wainwright, Celine Dion and that cannot be ignored. There’s only one problem with that and it’s that Canada simply can’t offer these stars the opportunites that they need, want and deserve so, they desert us for the U.S. anway. Last I heard, most of these stars perform more out of Canada than they do in. “You look at what’s happening in the charts over the last 10 or 20 years; you look at the Canadian talent that’s happened, you’d be crazy not to try and do something,” Cowell stated. No one knows at the moment whether Cowell was actually serious about this or, whether he was simply buttering up Canadian media to bring up the ratings on his American X Factor show. What is known is that Canadian broadcasters, executive producers and Canadian networks, just don’t seem to be able to captivate the audiences to support Canadian talent shows. A lof them tend to air either after the American versions when everyone is tired of being glued to their televisons from September through May and can’t stomach the lack-luster Canadian versions that seem second-rate by comparison to American versions or, they are aired during “off seasons” like the summer when most Canadians are outside, soaking up the rays because we’re stuck inside at least 8 months out of the year. I say that if Cowell wants to put his money and ideas where his mouth is, he should simply allow Canadians to audition for the American show, calling it North America X Factor and give Canadians the right to vote in the show. They are watching the American version anyway. While Canada definitely has talent, Canada’s television networks can’t seem to get it together to properly put together a sustainable show or audience to keep it going nor, can it hold onto its stars as most of them head down to the U.S. anyway. Why flog a dead horse any longer? 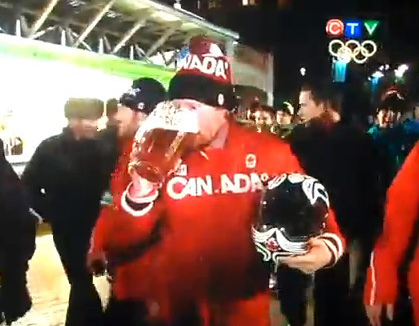 Canada’s got talent alright. It just doesn’t have the entertainment production capabilities. The U.S. is where they all end up anyway. Why not start there in the first place? Sad to say when I’m Canadian. Many of us would love to have the X Factor canadian edition. I kept hoping for it as well but alas, I think the urge has passed as I’ve heard nothing more about it yet. Maybe, the Canadian population just isn’t big enough to warrant it? I believe that they did start allowing Canadians to enter X Factor USA though. Not sure. Actually, I think Cowell’s X Factor empire hasn’t gone as planned so, no…I don’t think we’ll see it expanding into Canada…unfortunately. I definatly agree with letting canadians just do american x factor. 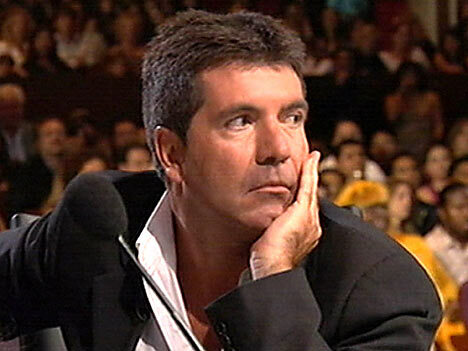 I heard that Simon said that he’s either going to create a canadian x factor or open it to contestants in canada. Would be a great idea and it doesn’t seem like it would be difficult. And if you really think about it hotel chains and travel agencies would have a field day.